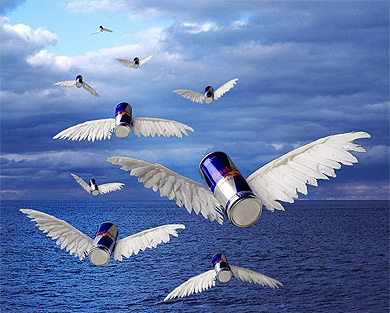 Red Bull founderÂ Chaleo YoovidhyaÂ got his wings this week, passing away at the age of 89. Leaving behind a personal fortune of $5 billion, he also leaves a legacy as the founder of an even more successful beverage company that earned roughly the same amount in 2011. So how did a local Thai energy drink establish a global category, and make its founder the 3rd richest man in Thailand? The sugar, caffeine, taurine (a naturally occurring acid found in animal tissue – including humans) blend started asÂ Krating Daeng, literally Red Bull in Thai, and quickly gained a following among truck drivers, construction workers and farmers for its ability to keep them awake. Based off of earlier South Korean and Japanese energy drinks, Red Bull wasn’t an entirely original concept for Thailand. It was something new for Austrian marketer Dietrich Mateschitz, however. During a trip to Thailand for his job promoting a brand of toothpaste, he found that the Red Bull helped with his jet lad. Masteschitz partnered with Yoovidhya, and helped adapt the formula for Western tastes and regulations by reducing or eliminating the levels of animal based ingredients. Launched in Austria in 1987, the slim cans with the Westernized version of Yoovidhya’s formula are now on the shelves of stores in 164 countries around the world. In Thailand, the original Red Bull formula is still the most common, popular and widely available, but Mateschitz’s adaptation of the formula and marketing of the brand through sports like Formula 1 racing have been a key in taking the brand from regional success story to global category leader. In 2011, the company sold more than 4 billion cans of the energy drink and had revenues of â‚¬4.25 billion, or approximately $5.6 billion at current exchange rates.